Vancouver, BC is known for their fresh seafood & and delicious food overall. Yew at the Four Seasons is a popular restaurant for locals & tourist who want exceptional service & the mode/chic aesthetic. Weekdays to weekends Yew is always busy. You can however get a table without a reservation during non-peak meal hours. Due to the nature of its location (in the Four Seasons) the price-point is much higher than normal catering to those who are willing to pay more for their meals & enjoy the modern design & cool restaurant. Their service & personal requests are above & beyond and this would be a great place for a special occasion – family birthday, girls night out or a special date. From many past experiences, their Mushroom Gnocci is always excellent! Fresh, soft, flavorful & the perfect gnocci texture. You may inquire about made-to-order vegetable gnocci or even meat. 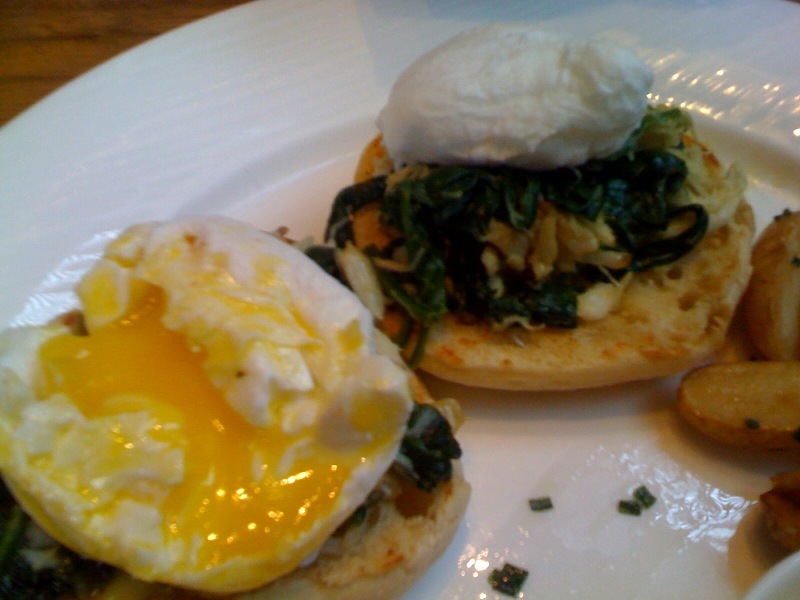 Today’s meal – brunch – eggs benedict served with FRESH dungeness crab, spinach & fingerling potatoes ($18). The dungeness crab was an extremely tasty addition to the typical eggs florentine (benedict & spinach) however the price point was much higher than the usual breakfast restau. All in all the ambiance and aesthetic of Yew Restaurant + great service + meal = overpriced but worth it once in a while.